Flexi Ball Toy is rated 5.0 out of 5 by 6. Easy for little fingers to bend and squeeze, this colorful ball toy is sure to entertain your baby. 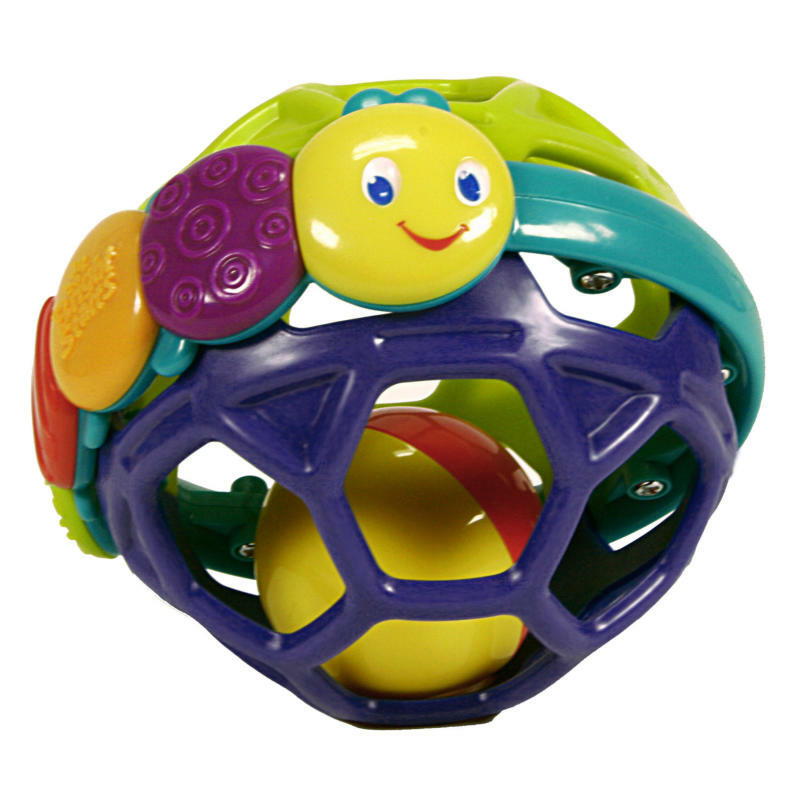 The Bright Starts™ Flexi Ball™ features an easy to grap outer surface, a rattle ball on the inside, and a colorful caterpillar fo an extra touch of sweetness. Rated 5 out of 5 by Slpsandra from Great toy Got this about 3 years ago and is still like new! My baby boy used it and then my babygirl used it! Now it has been handed down to my newborn nephew! Colors are vibrant and bright! Material is kind of soft on the webbing but not too much. This is a great toy because it’s easy for little fingers can grab on to it to roll it or toss it! Super cute design! Rated 5 out of 5 by Slpsandra from Great toy Got this about 3 years ago and is still like new! My baby boy used it and then my babygirl used it! Now it has been handed down to my newborn nephew! Colors are vibrant and bright! Material is kind of soft on the webbing but not too much. This is a great toy because it's easy for little fingers can grab on to it to roll it or toss it! Super cute design! Rated 5 out of 5 by healing at umc from one of baby's favorites This was given as a gift and its his favorite ball. My kid loves making noise. Rated 5 out of 5 by kel87 from Exciting Toy for Little ones! I bought this for my baby girl when she was 4 months old and she loves it! It is one of her favourites, she likes to roll it along the floor. And also picks it up and shakes it and then holds it to her ear as if listening it's so cute.